Interview includes the narrative on which the Vermont Folklife Center Children's book The Two Brothers is based. VFC1991-0004 Mad River Valley Collection. Vermont Folklife Center Archive, Vermont Folklife Center, Middlebury, Vermont, United States of America. 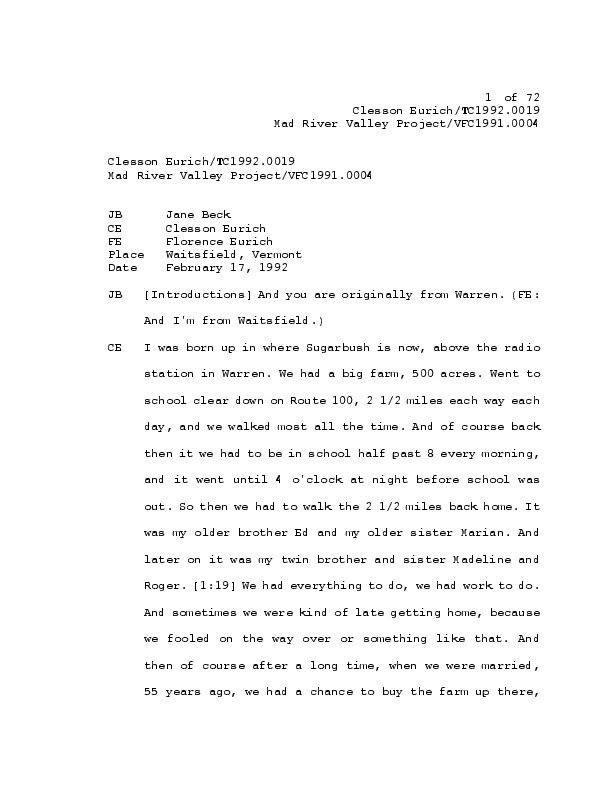 Eurich, Florence and Eurich, Clesson, “Interview with Eurich, Clesson; Eurich, Florence -- TC1992-0019,” Vermont Folklife Center Digital Collections, accessed April 24, 2019, http://explore.vermontfolklifecenter.org/digital-archive/collections/items/show/1559.